He recently wrote a humorous article for the Huffington Post. Just watch out if you see me on Melrose. The latest Time magazine has an article on the VFX business. Very worth reading. "A major point of contention between VFX shops and studios is the issue of change orders. When a director revises what he wants to see in a shot, it can mean months of lost work. Under the current system, most VFX houses feel they have to eat the costs to maintain their relationships with studios and filmmakers." 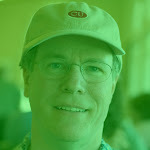 Richard Keerigan also had blog posting about VFX work here in California. One of the issues discussed in relationship to the town hall meetings (besides hours worked) is the wage issue. Certainly a number of people who search visual effects on the web are looking for salaries. Salaries for VFX vary a lot. Much depends on if you’re freelance or at a facility full time. It of course also depends on where in the world you’re located. Since there is no standard and no VFX union there is no minimum or set salary level or range. There’s no actual criteria or testing for different levels of qualifications or pay levels. Someone in the next cubicle could be paid twice as much as you and half the experience. Most of the vfx companies try to maintain a range of salaries for different positions but if they’re in a bind on a project and have to rush to fill seats they can make some unbalanced employment agreements. To become a VFX supervisor you could just make up cards and call yourself that. A supervisor could make minimum wage at some tiny place in the middle of nowhere doing all the work themselves or they could be making what a Director of Photography makes on a large project. Check on Craig’s List. There are plenty of vfx jobs that pay nothing except possible credit on short film. There is a site: vfxwages.com where people can enter their salaries so you can see the values. This allows you to be aware of what others are being paid for similar work. [Update: glassdoor is another site that provides some wage information sharing and company reviews. 1. Most vfx jobs are ultimately freelance. It’s possible you may keep working a few years at a larger company but just as possible they have a slow summer and you could be laid off for 6 months. Even at the large companies they tend to lay off large numbers of people every year and re-hire as the work comes in. Companies tend to show much less loyalty to their employees than the employees show to the company. This is also the reason why most of those in the film business are paid higher than the equivalent person might be in another business. They may be employed for a week and then may get another project immediately or wait weeks/months until the next project comes along. There’s always the need to hustle to get your next project and unknown when it will happen. Many freelance VFX supervisors have agents. Although not the norm some Flame operators and other vfx artists have agents as well. This can be useful if they do a lot of short term freelance type of work. Of course the agents are looking for someone already established that could easily be hired on a project. An agent takes 10% so that's worth considering. 3. These listings tend to be for experienced people. If you’re just starting out you’ll likely start at a lower amount. Also know there aren’t enough jobs for all the VFX students that various schools are producing and here in the U.S., more of the starter positions may be outsourced. 4. These jobs may or may not include health insurance (and certainly different levels of coverage) or any forms of retirement. Even if they do include these you may have to work a few months to qualify. If the project is only 4 months of work but it takes 3 months to qualify it doesn’t really provide much. 5. Most VFX companies are located in cities where the cost of living is much higher. (Housing, insurance, transportation, etc) A house in LA can be 5 times the cost of the same house in the Midwest. Quality of living also plays a role since you may be spending another 2 hours a day on the road in some places in addition to the long hours. 6. What are the hours and is overtime being paid and if so how is it calculated? Some positions and companies may not pay any overtime but expect employees to work it for free or for the same amount as their regular time. Only local laws may provide some relief here. As a contractor you also need to deal with a lot of paperwork for the federal, state and city governments including paying all taxes and having your own insurance. Hiring people as independent contractors is usually cheaper and easier for the vfx company and puts much more of a burden on the the artist. For wages for vfx supervisors see this posting and go to the very end. Notes to Store version 1.32 just released for iPad. Faster, easier brush color and size selection. 16 user defined color presets and other new features. For those involved with previs (creating or using it) you should check out the Previsualization Society. They formed last year and already have several hundred members. Previs has traditionally been made up of small groups of people or companies. The society offers them a chance to organize with common goals and to help standardize and educate, much as the VES has been doing with Visual Effects. One of the directions is to help make the previs more technically accurate, which I'm all for. I don't think it can be stressed enough that if the previs is to be used as a real tool for production it has to reflect the real limits of live action shooting. Getting to a location and being unable to shoot the shot as it's been prevised is of no help to anyone. People tend to accept storyboards as being a rough guide but when they see something cut together and well rendered then everyone assumes this is a template for the film. If the final previs ignores the sets and camera mounts then there's bound to be problems. One of the other things discussed was how previs works together with not just the director but the DP, Production designer, Stunt Coordinator, SPX and VFX. Previs is certainly an area that's been rapidly growing the last few years. "It's definitely true that the technology is improving constantly. But I don't understand why it still costs so much. I don't know why so often we are at the mercy of shots being delivered late when we are trying to make a deadline or timing an answer print or DI." Yeah, it's those darn VFX people! Don't we know that they're trying to make a deadline? Gesh. Cameras continue to improve as well but you don't see us wondering why it costs $70-100 million to make an average film. We know better. Time + people = money. Add creative complexity, changes and compressed schedules to explain not only the money issue but the running late part of the quote. There's no magic involved. As much as we provide the illusions for a film, in the end we can't defy time and the reality of costs, despite what some studios think. In VFX it's not unusual to have as many or more people than on the live action shoot. A VFX company is like a mini-studio with all the departments - props, set construction, scenic painters, wardrobe, stages, acting, cameras, etc. It may involve the computer but it still takes a lot of people skilled in all of those areas. The VFX may take 6 months to a year to do. Yet many in the film business assume that the computers are getting cheaper and faster so the costs and times should now be lower. Oddly they don't hold this same view of writers or DPs when their tools get faster. There's no magic buttons for us to press just like there's no magic button in Final Draft to create a blockbuster automatically for the the writer. And of course on each project we're required to create something new and different, never before seen. I do think it would be an eye opener for most in the film industry to spend a real day or week at a VFX company.